Whenever a new piece of Apple software is released so quickly following a major jailbreak, fans of the Cydia scene are anxious to learn of whether the Cupertino has plugged the security holes that made the jailbreak possible. While iOS 7.1 beta 3 is merely pre-release software not yet ready for the general public, it should be taken as positive news that the security gaps that facilitated the Evasi0n7 jailbreak remain, as confirmed by iH8sn0w. The fact that this beta is not yet patched, however, doesn’t mean that the final version will not be, so blindly applying the developer update on the presumption that iOS 7.1 GM will not be jailbreak-proof would be a rather naive move. In fact, it is a common occurrence for one or even a number of betas and minor end user releases to pass after a jailbreak without plugging it, and if history is anything to go by, we’d hazard that there’s a good chance that iOS 7.1 final will cease the operations of the Evasi0n jailbreak tool for the time being. As the search for exploits and security loopholes has gotten progressively harder over the last few iOS releases, some of the most seasoned hackers in the business got together back in 2012 to come through with the untethered jailbreak for iOS 6. After months of speculation as to whether a jailbreak would even be possible, the first Evasi0n jailbreak made waves in the community, and although some had doubted whether the same team would be able to find a way through once again, Evasi0n7 was swift to dispel any notion of doubt. So, there you have it. If you value your device’s ability to be jailbroken, then be sure not to do any kind of upgrading just yet and stick to iOS 7.0.x. We sincerely hope that Apple’s iOS development schedule cannot be relaxed enough to get to work on stopping this most rampant of jailbreaks, but at the same time, it’s almost certain that something will be done before iOS 7.1 reaches the layman. 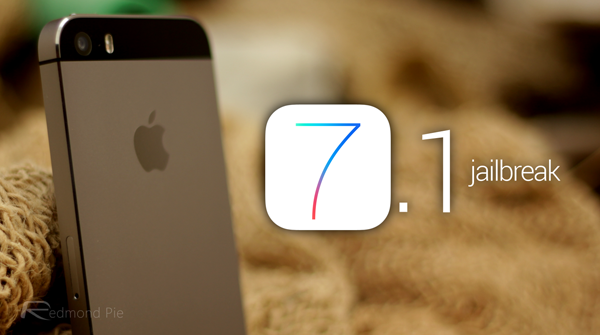 We will, of course, give you guys the heads up as and when iOS 7.1 arrives for real, so stay tuned to our round-the-clock coverage!